Many homes in Florida have access to municipal water, but this does not mean that you won’t have trouble with your home’s water at one point or another. Some households want to invest in a whole house water filtration system, while others will want well services or other water treatment solutions. We at Hydro Solutions have been building custom water treatment equipment and providing quality water solutions since our start in 1951. At Hydro Solutions we can help with a wide variety of water treatment concerns ranging from the removal of hardness, chlorine or chloramines, iron, and/or sulfur and many, many more. The water that you and your family consume, cook with, and bath in is a precious commodity. It is too risky to outsource the job of specifying and installing a water filtration system to a company who isn’t well-versed in the skill of water treatment. Our trained professionals can analyze your home’s water and recommend the appropriate solution for you. Your household’s water is much more than just drinking water. If you do a quick stock take on how often you use water (to brush your teeth, to wash your clothes and cutlery, and to clean fruits and vegetables before they are cooked), you will quickly realize that water is fundamental to your day-to-day life. 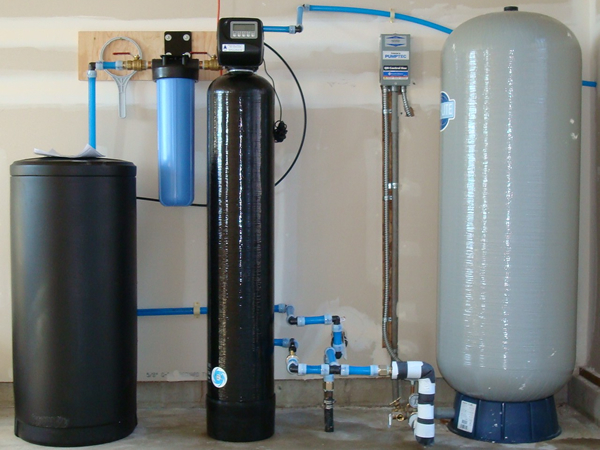 We offer a one-stop solution for all your water needs, including reverse osmosis system services, water softener services, water purification services, water treatment services, and well pump services. Each unit is custom-built for the needs of your home after a careful water analysis. Hydro Solutions does not use the “one-size-fits-all” approach of other national brands because every home has different needs. We also offer water system maintenance to ensure you continue to receive the quality of water you expect.